The “synchro pair” as seen from the cockpit of the “Battle of Britain” Typhoon. 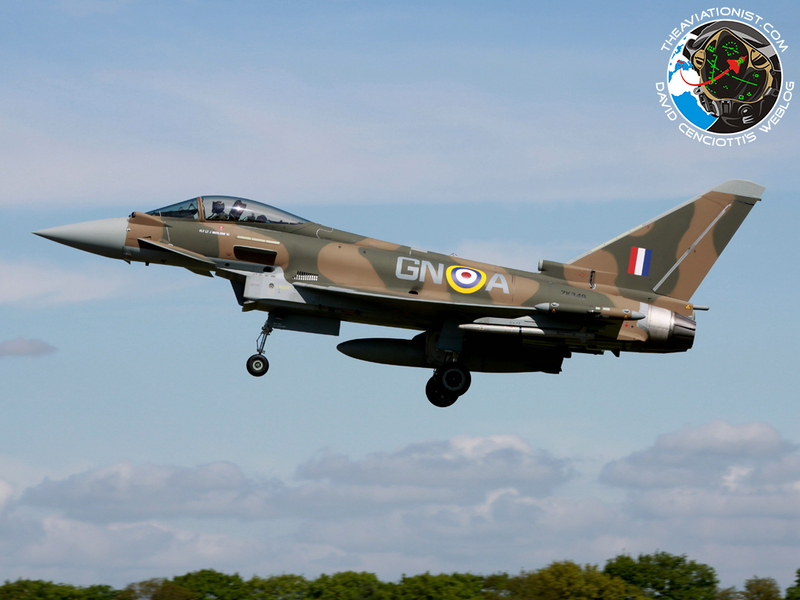 The following video was filmed with different GoPro cameras from aboard the RAF Eurofighter Typhoon FGR4 from 29 Sqn based at RAF Coningsby that was given a retro WWII era paint job as part of the commemorations for the 75th anniversary of the Battle of Britain. The footage was shot as the “Battle of Britain” Typhoon was taking part as “synchro pair” with a BBMF (Battle of Britain Memorial Flight) Spitfire in the Royal International Air Tattoo underway at RAF Fairford, airbase, UK. If you haven’t seen it yet, here is a cool shot taken by our contributor Tony Lovelock, of the Typhoon ZK349/GN-A landing at its homebase in May.